Lately I have been having some trouble with my hair and because of the weather getting slightly cold, it’s been affecting my hair too. You can find various blogs telling you how to prevent split ends how to treat breakage and damaged hair and so on but this is my version of it. Split ends can happen due to various reasons and all of the reasons being bad for your hair. Stress, dry conditions, excess usage of heat tools, using too much chemicals (colouring) can be few quick reasons. Today I’m going to tell you a few good ways or tips to take care of your split ends or prevent them from coming back! First you need to examine your hair. 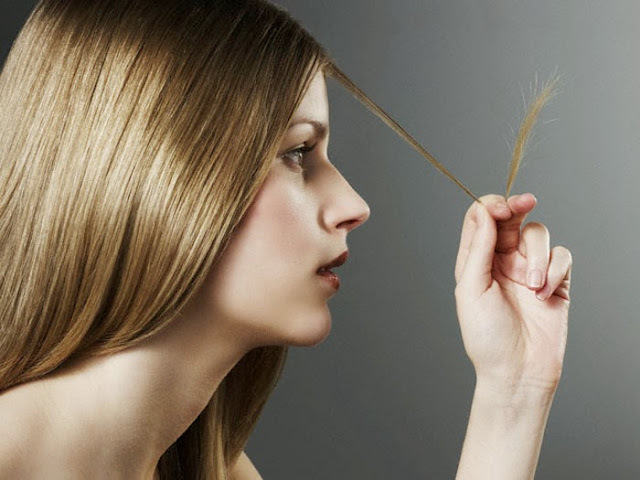 You need to check if you really have split ends and if you do, check to what extend and much of the ends are affected. If the damage is too much sadly you need to cut off the damaged part of your hair! We do not live in a perfect world, out environment changes dramatically which will affect out hair even if we take good care. For this reason our hair might get damaged after a few weeks. To take care of this you need to have a trim every once in 2 months or so. If damages is less for your hair you can extend the periods between trims. Don’t depend on hair care products that claim to repair your split ends. To be honest split ends is dead hair and you can’t bring dead hair back alive. You only need to cut that part off and prevent it spreading so if you’re one of those who go crazy over advertisements telling you about products for split ends you might need to pass them out. Just have a basic shampoo and conditioner that works well with your hair. If your damage is going too crazy, avoid using heat tools or colouring your hair for some time. Massage your hair to prevent any damage in the future. Massaging your scalp invigorates hair growth healthier and thicker thus less prone to damages when it reaches to the end of the length.